Now in its sixth year, this interactive, fun conference focuses on building connections and developing skills for front-end developers at the cutting edge of their field. Toptal is proud to be a sponsor of this event, taking place December 1 from 9:00am to 6:00pm. Giulia Cardieri, a Toptal designer, will be a featured speaker at this event. Her talk is titled What can I learn with CSS designs and games? and takes place at 4:00pm. Did you know that you can learn (even more) CSS by making an illustration or game? 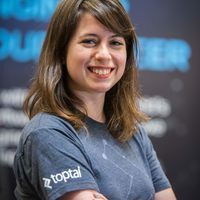 Giulia will present a responsive memory game developed only with HTML+CSS, and will explain how this strategy can help your career development. This event is sold out. For more information, please see the official website.